What a great year this is for comets! 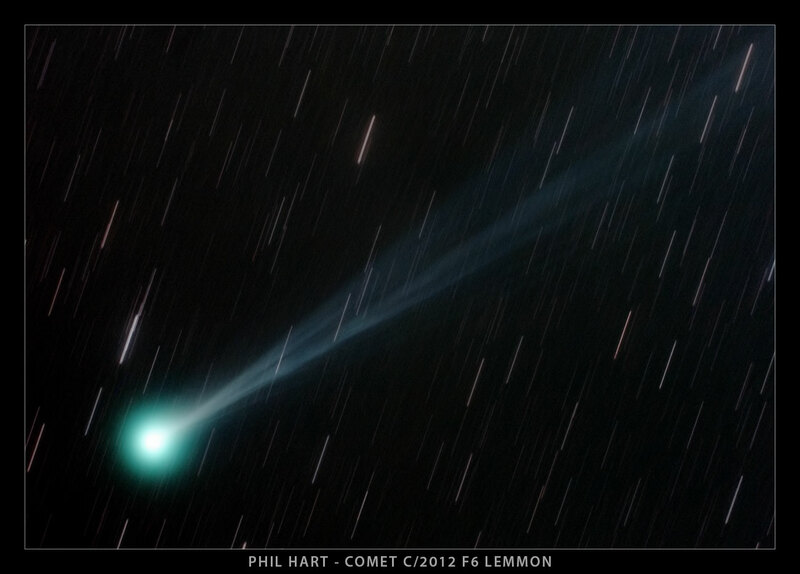 Please post your 2013 comet images here. Please see this thread before posting images; posting images demonstrates your agreement with the possible uses for your image. Those viewing the thread: this thread will be updated many times throughout the year. Check back to see the latest images! Last edited by owlice on Tue Mar 05, 2013 8:02 am, edited 1 time in total. Reason: Changed img tag to img2 tag; thanks for sharing! Composition with Starmax (http://ggrillot.free.fr/astro/starmax.html) and levels averaging using Photoshop. March the 4th. Around 7 PM local time (UTC+4). 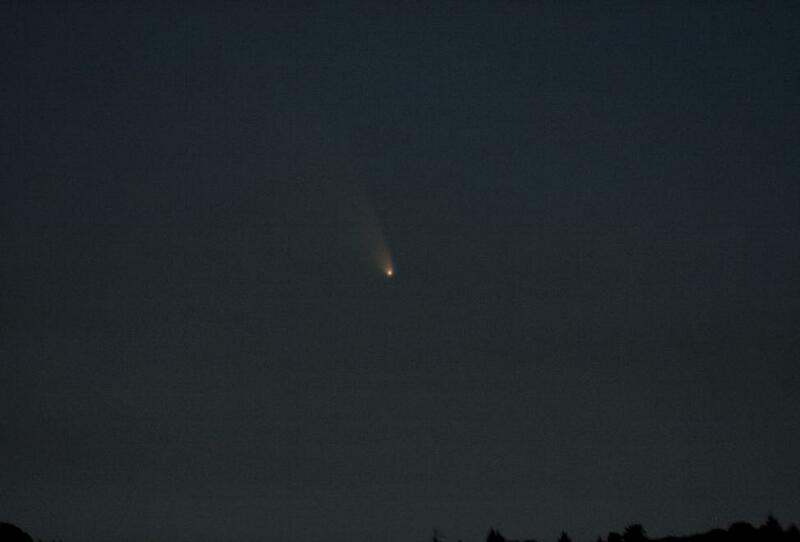 Panstarrs has appeared in the North! It took a while to find in the waning light of sunset, but showed a nice tail through 10 x 50 binocs. Very difficult to see without magnification, but it will rise each night and (hopefully) have a bit more contrast. I snapped a few images from Southern New Mexico last night (3/10) with a 300mm f/4 lens on a fixed tripod. I hope to do a better shot in the next few days. 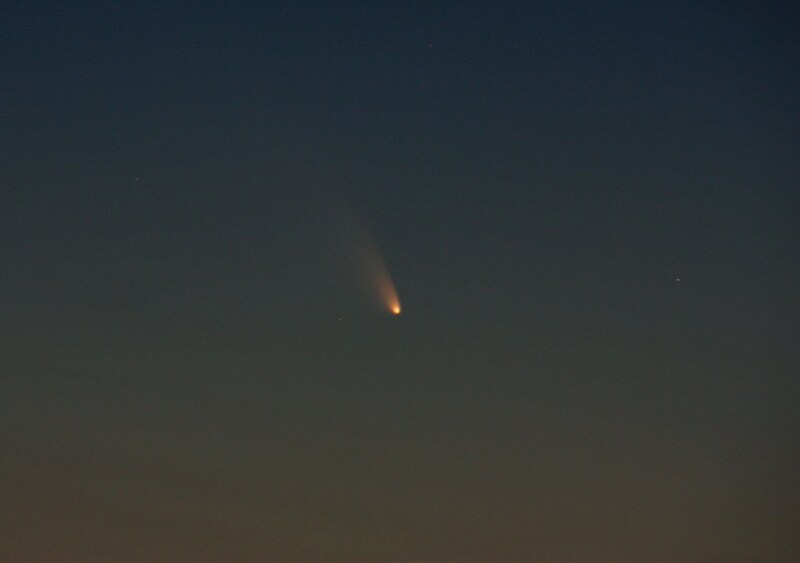 Comet PanSTARRS on 03/11/2013 near the McDonald Observatory in West Texas. Shot details are: Tripod mounted Canon T1i, Canon 70-300mm lens @ 300mm, ISO 400, f5.6, 4 sec. 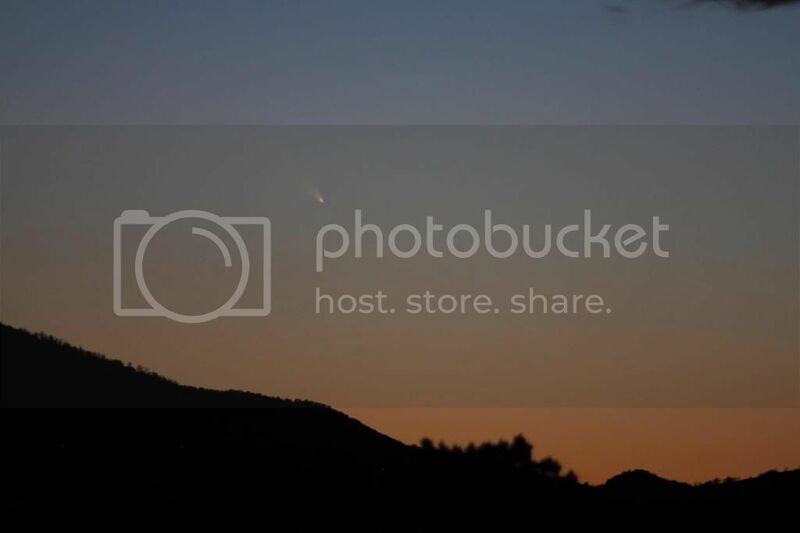 Comet Pan Starrs against the Canary Islands skies. Taken from the top of the mountains of Gran Canaria (Canary Islands,Spain). 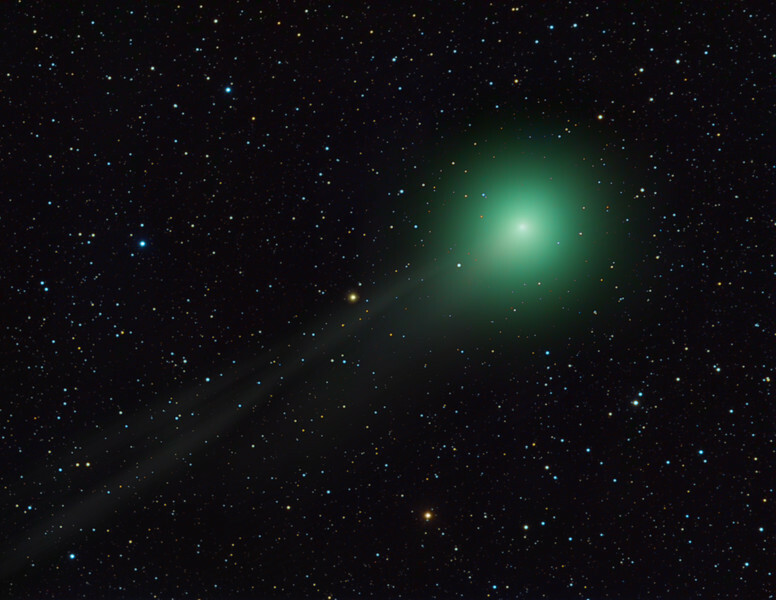 The comet is beginning to show a much brighter and enlongated tail for northern hemispheres. 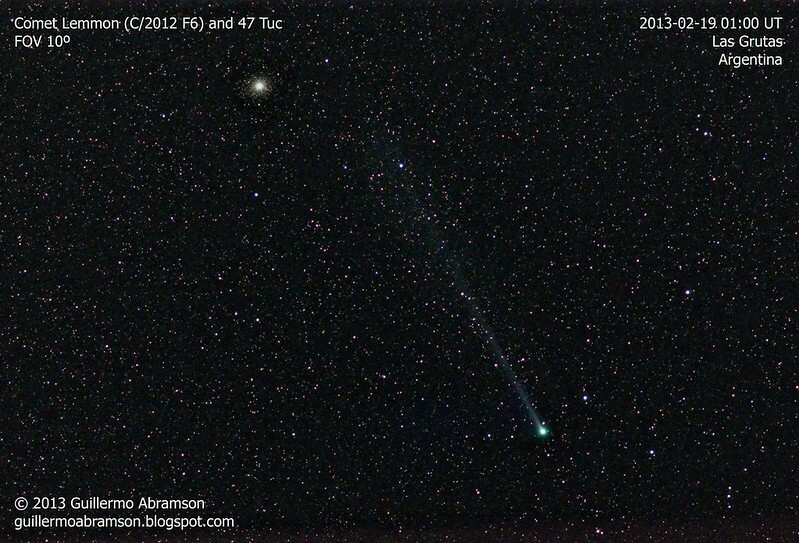 Each night is more exciting than the previous one, as the comet gains height and angular separation from our Sun. 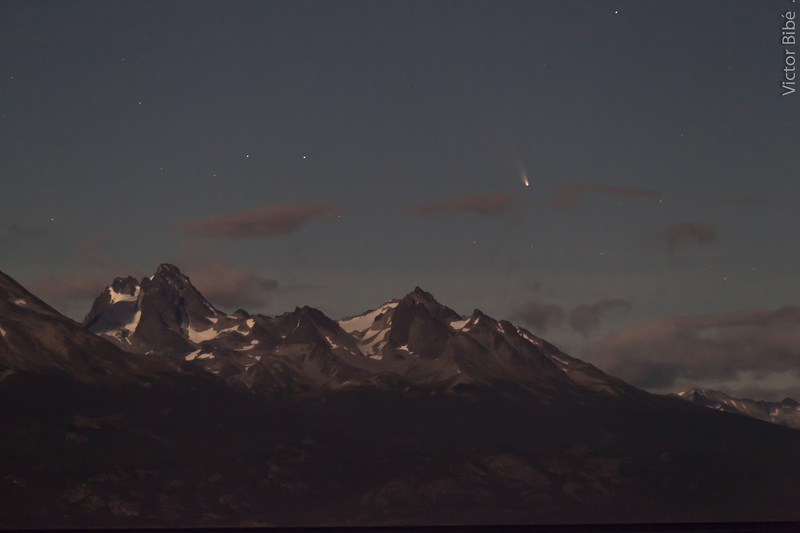 Stop Mr. Comet, we have to see you! 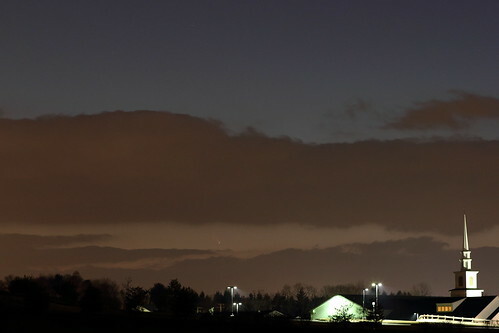 Comet Panstarrs is moving fast to the western horizon, besides the street lights! I could see it with naked eyes today and could see the tail. Beautiful! I wish it wasn't moving as fast so I could enjoy the beautiful view more. Last edited by conemmil on Wed Mar 13, 2013 6:02 am, edited 2 times in total. 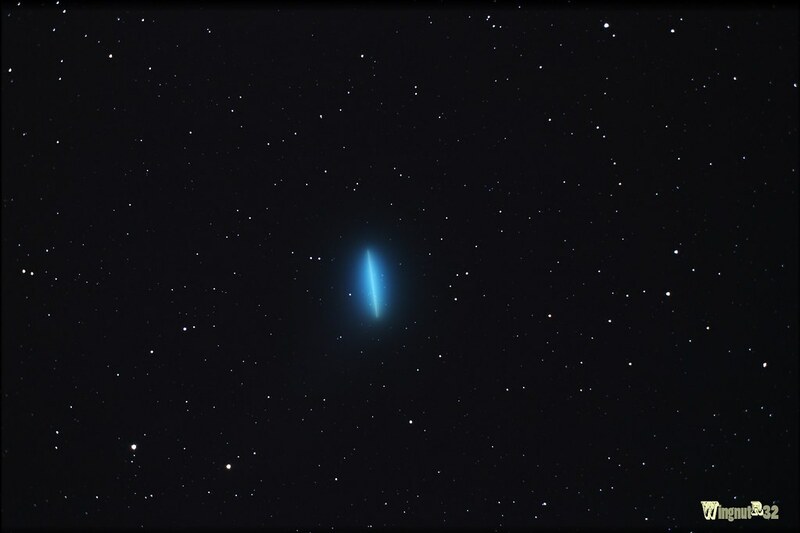 The forecast was calling for cloudy weather but finally a small break developed in the western sky enabling me to capture a few shots of Comet C/2011 L4 (PanSTARRS). I really wanted to capture the crescent moon with the comet but the clouds prevented me from doing so. The photo was taken with a Canon T2i and a Canon 100mm f/2.0 prime lens at f/3.5 (2.5 seconds at ISO 400). Copyright: Fred Herrmann All rights reserved. Last edited by bystander on Wed Mar 13, 2013 4:27 am, edited 1 time in total. Looked beautiful this evening, with western clouds breaking up just in time to catch the Moon and the comet a few minutes before they set. I drove a few miles to a better location, but came back when the clouds there failed to clear, and got this from our barnyard. 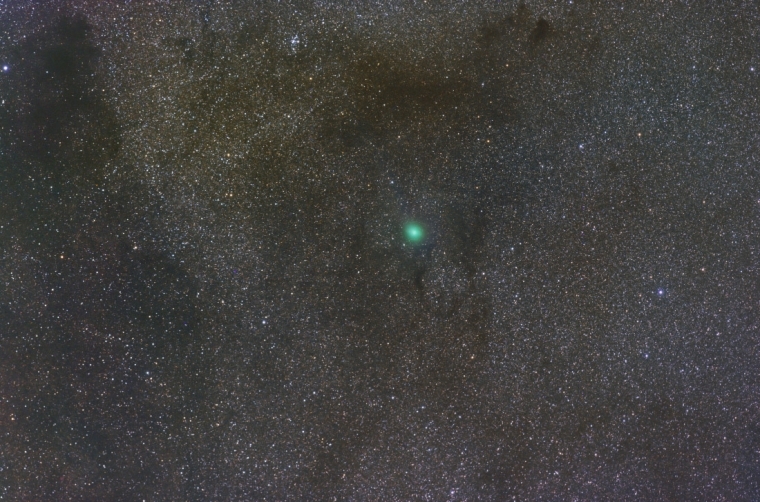 The comet was barely visible to the naked eye without using averted vision, and stunning in binoculars. 1.6 s, f/6.3, 135 mm, ISO 400.